The nation's oil and gas industry is emitting nearly 60 percent more methane than the official estimates of the Environmental Protection Agency, according to a new study. The findings, published in the journal Science, represent the "best estimate to date" of the environmental impact of the U.S. oil and gas industry, according to co-author Jeff Peischl, a scientist at the National Oceanic and Atmospheric Administration's Earth System Research Laboratory, in Boulder, Colorado. The study was led by researchers at the Environmental Defense Fund, with support from 19 co-authors. Methane, the main ingredient in natural gas, is 80 times more potent than carbon dioxide as a heat-trapping gas over a 20-year period. It is emitted during the production and transport of coal, natural gas and oil. Study authors attribute the majority of these emissions to leaks, equipment malfunctions and operator errors. Researchers estimate the leak rate to be 2.3 percent, versus the current EPA estimate of 1.4 percent. "Although the percentages seem small, the volume represents enough natural gas to fuel 10 million homes — lost gas worth an estimated $2 billion," the EDF said in a statement that accompanied the study. Collectively, the oil and gas sector emits 13 million metric tons of methane per year, according to the study. The study...presents some of the most compelling evidence to date that switching to gas from dirtier fuels like coal might not be as effective a climate strategy as its proponents suggest unless the gas industry improves how it controls leaks. For the report's underlying data, researchers turned to more than half a decade of studies on methane emissions conducted by more than 140 researchers from 40 institutions. 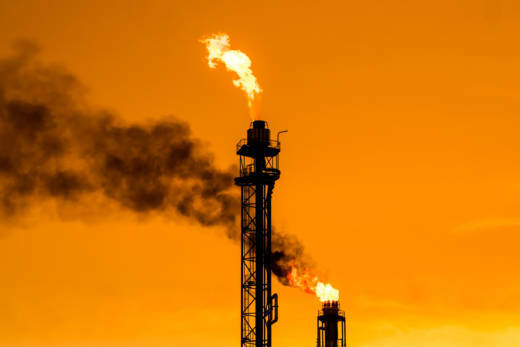 The International Energy Agency estimates the oil and gas sector can slash its methane emissions by 75 percent, with up to two-thirds of those cuts happening at zero net cost. The oil and gas industry is taking issue with the study's reliance on older data. “No new measurements were made for this study," Richard Meyer, the American Gas Association’s managing director of energy analysis, told USA Today. "Rather, the authors rely on previous scientific studies and a statistical method that produces higher emissions than previously estimated." The study come as the Trump administration attempts to undo Obama-era regulations meant to limit harmful methane emissions from oil and gas production. EDF hopes to help governments and companies track their methane emissions by launching MethaneSAT, a satellite that can measure and map human-caused methane emissions. The satellite is scheduled to launch in 2021.